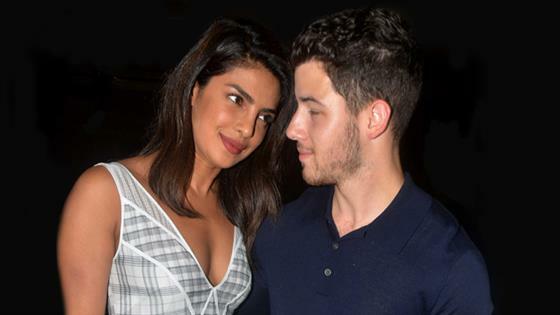 The pop star turned 26 on Sunday and celebrated a day early with fiancée and actress Priyanka Chopra, 36, and family and friends at Angel Stadium in Anaheim, California. The "Jealous" musician got to take some swings at bat before the Los Angeles Angels' game against the Seattle Mariners and later performed at a post-game show, where he continued his birthday celebration. Jonas and Chopra, who got engaged earlier this summer, and their group watched the game from the Legend Suites section of the stadium. At one point, the actress started jumping up and down and leaned in to hug her beau, and she was later seen lovingly rubbing Jonas' hair, an eyewitness told E! News. During the top of the seventh inning, the group did the wave with the stadium crowd. After the game, Chopra and Jonas walked onto the field with friends and watched him perform from behind the stage. He completed a 10-song set. Angels first baseman Albert Pujols brought out a birthday cake after his performance and the actress and her beau shared a bite on stage. "Thank you for all the birthday love," Jonas told the crowd. "You all sound beautiful. I have a lot of friends and family and loved ones here tonight."